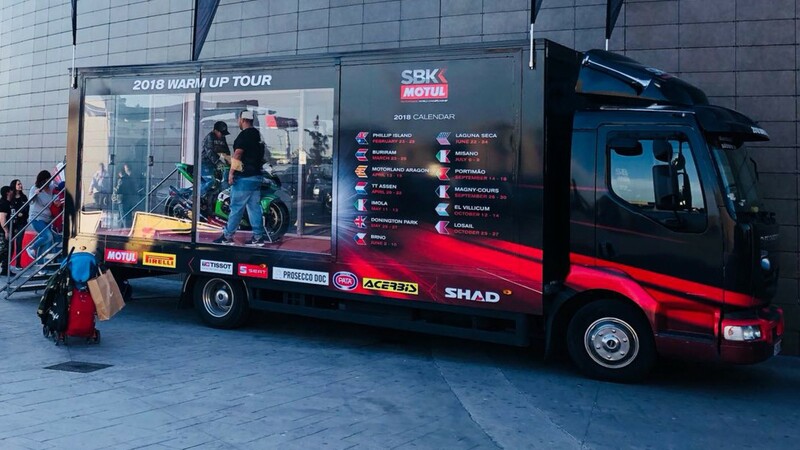 With just weeks to go before the MOTUL FIM Superbike World Championship rolls into the undulating circuit of MotorLand Aragon for round three of 2018, the WorldSBK Warm Up Tour has begun its European journey. 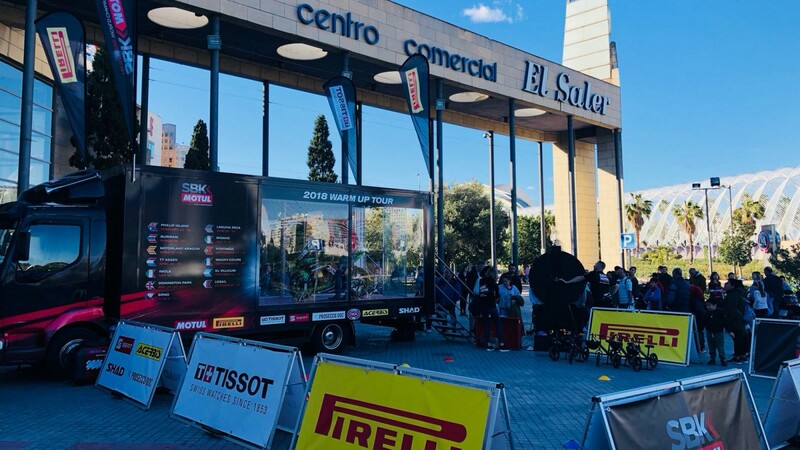 Starting in Castellon, Spain the tour is set to be a massive success with fans around the country as they prepare to see their heroes on track, and there are opportunities on offer that fans won’t want to miss out on. 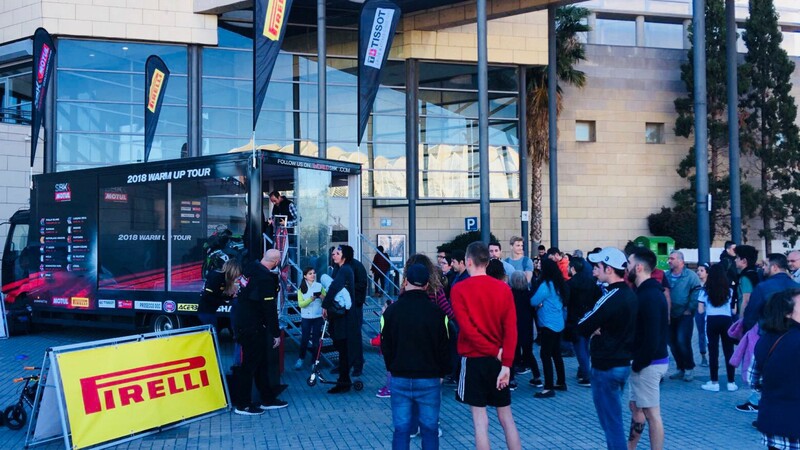 Offering the chance to win tickets with the warm up tour, fans could get closer to home heroes Xavi Fores (Barni Racing Team), Jordi Torres (MV Agusta Reparto Corse), Ana Carrasco (DS Junior Team) and Maria Herrera (Yamaha MS Racing), who just some of the riders fans will flock to see at the circuit. Attend the warm up show, be in with a chance to win tickets and get revved up for the start of the season. 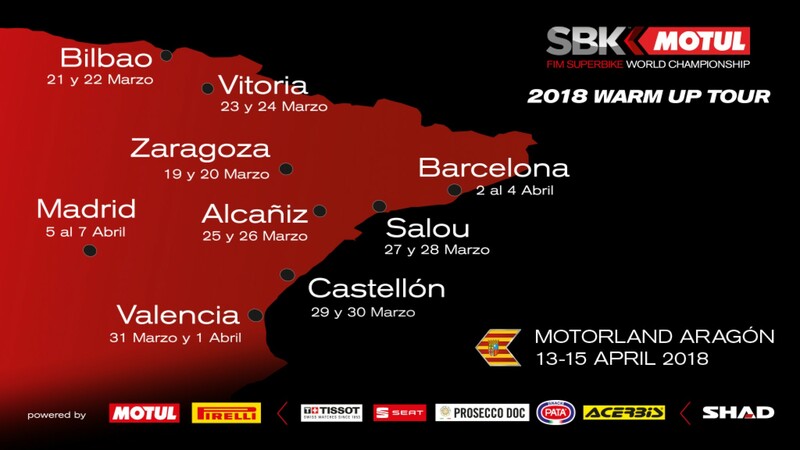 Moving onto Valencia for the second highlight of the journey, the tour makes stops in main spots on the route offering fans from all over the cities to get their WorldSBK fix. You won’t want to miss being in with a chance of getting your photo taken with the legendary Jonathan Rea’s Kawasaki ZX-10RR. Moving onto Barcelona for two stops, the fun never stops. 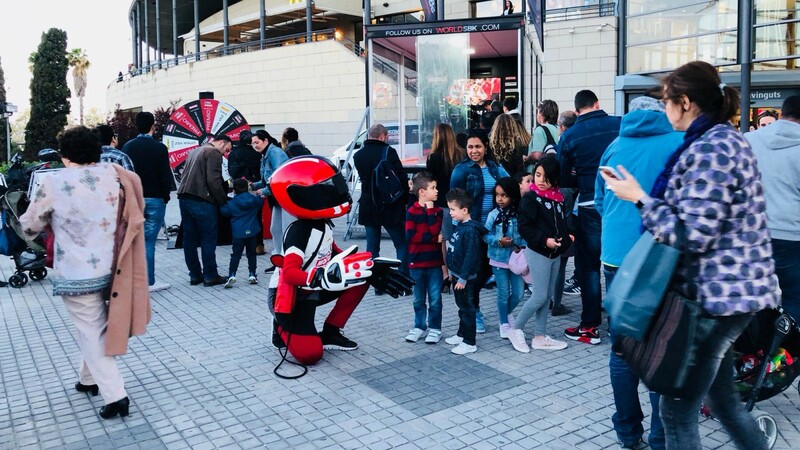 With a kids area for the younger fans, they will have the opportunity to race their rivals on WorldSBK bicycles, making practice perfect before they can compete in a race throughout the MotorLand Aragon Round, a memory that will stay with them forever. 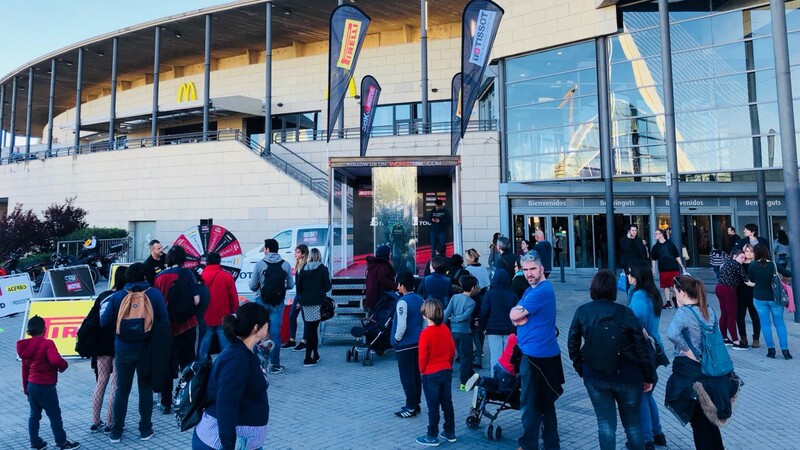 Stop number two in Barcelona will be at the Ace Café, an iconic location in the Northern city, this will no doubt bring fans together to get excited for WorldSBK as the electric atmosphere seeps through into the iconic setting. 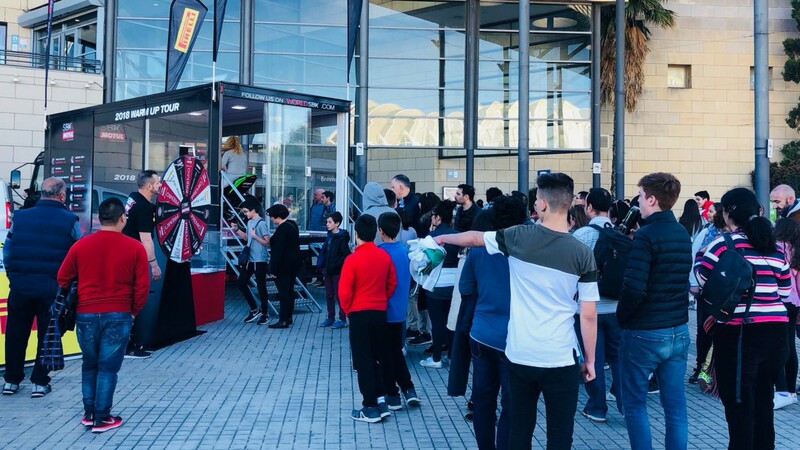 Making the final stop in Madrid, this will be the fans final chance to prepare for the Aragon Round of the championship and the final chance to take pictures, win prizes and find up and coming racing stars. All of this is happening before on track action commences from 13th – 15th April. Follow all the drama unfold from the circuit with the WorldSBK VideoPass.